LDM Global is excited to announce two upcoming networking events in the Channel Islands. LDM Global Channel Islands Director Sean Cordes and CEO Conor Looney will host the events, meant to introduce area professionals to the company in a relaxed environment. Consultancy is at the core of what sets LDM Global apart from other service providers, and the company motto is to “deliver quality solutions that add value to our clients’ business.” In addition, the company has a global footprint, including offices in the U.K., U.S., Cayman Islands and Channel Islands. 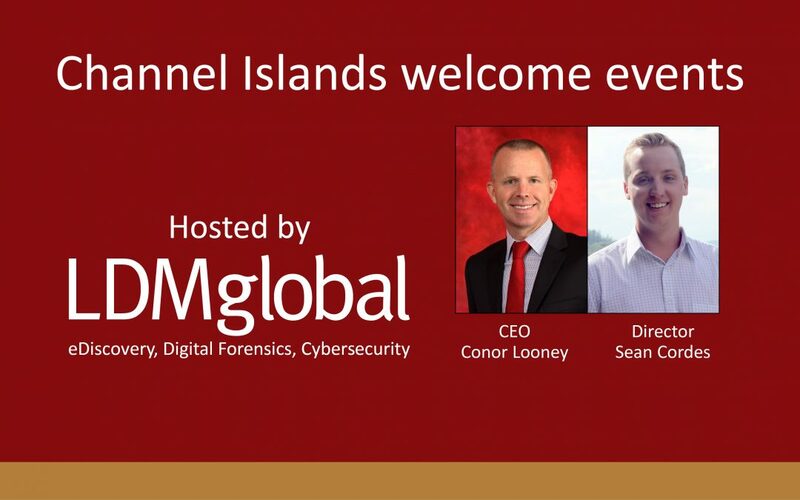 LDM Global’s first Channel Islands Welcome Event is in Guernsey from 5 to 6:30 p.m. Wednesday, Sept. 26, at the Digital Greenhouse, Market Street, St. Peter Port. The next event is in Jersey from 5 to 6:30 p.m. Thursday, Sept. 27, at The Royal Yacht, Weighbridge, St. Helier. Drinks and appetizers will be served. Area professionals are invited to attend. RSVP for the Guernsey event here: https://www.ldmglobal.com/guernsey-welcome-party/. RSVP for the Jersey event here: https://www.ldmglobal.com/jersey-welcome-party/.